Getting Started with Homeschool - How Does Your Child Learn? Ty and Kayla, ages five and six, enjoy creating books with blank paper and crayons. Kayla is sitting in her chair, paper neatly piled off to the side and each crayon returned to the box before another is removed. Across the table, Ty’s paper is scattered every which way, crayons are strewn everywhere, and he is standing, bouncing, and dancing. They are enjoying the same activity, but in different ways. Ty and Kayla are exhibiting the different ways they learn. In the past decade, even preschools have put more emphasis on what is learned and when rather than on how each child learns. While much is written about providing a variety of learning situations, many of the methods actually used are geared toward checking off items on a criteria list; how best to learn has taken a backseat to what to learn. This trend has crept into homeschools as well. By far, I’m asked more about how to be sure a child has no learning gaps now than the perennial “What about socialization?” Knowing what methods your child uses to learn will help you, not just to provide a preschool learning environment, but also to know how to guide learning in the future. Young children employ many methods of learning; on occasion they will use several to learn something new. We’ve all watched our babies as they explore their environment. They look at, touch, and even taste to discover the things in their world. Those methods refine as children grow older. But each child has a combination of methods that is unique. By the time our children are four or five, we can begin to see each one’s individual style of learning emerging. This style is not fully developed until later. As we observe how our children learn, we are able to provide learning experiences to enhance each child’s distinctive approach. There are three basic areas that combine to make up each person’s unique way of learning: gender, temperament, and learning style. Each of these factors influences the other. During different ages and stages, one may dominate the others. Observe your child and watch for each of these elements throughout the day’s activities. One word of caution: don’t lock your child into a box because you see one way of learning now. As your child grows, these factors will blend, and the individual styles of learning may change a little bit until one emerges as dominant. At a family reunion, the little girls were in a corner of the patio playing out their version of the event. Modeling after the women, they were talking, serving, and watching others. The little boys, on the other hand, were running and climbing, and general chaos was following them around the yard. Admit it: if you are the mom of boys only, don’t you often openly or secretly wish your perpetual-motion machines were a little quieter and a little calmer, at least some of the time? Boys are in constant motion, even in their sleep. That’s how God built them. This one difference between boys and girls has an effect on learning. Boys need to move, have action, and have their hands (and sometimes feet) busy while they learn. Far too often little boys have been given an ADHD label at a very young age because they can’t sit or stand still in a classroom. Of course they can’t—boys are not made that way. Dr. Judith Graham, extension human development specialist at the University of Maine, describes temperament as “a set of behavioral characteristics that seem to be inborn and generally persist throughout life.”1 Recognizing and considering temperament gives another clue as to how your child will learn in the future. Nine traits are considered when researchers determine temperament: activity level, rhythmicity or regularity, approach or withdrawal (adaptability to new situations), adaptability (in general), sensory threshold, quality of mood, intensity of reaction or response, distractibility, and persistence or attention span. These traits are combined to identify a person’s temperament. Three temperament categories have been named: flexible, active, and cautious. The flexible child is the one described as easygoing. This child adapts to changing situations and new people easily. Often a flexible child is compliant with the wishes of others. Flexible children are so quiet that sometimes their needs are overlooked. The active child is as the name implies: the boisterous, energetic, and often temperamental child. These children are often called “fussy” as babies because they don’t have regular sleeping or eating patterns and don’t adjust quickly to new situations. The active child can’t move quickly from one activity to another. Frustration is often expressed through temper tantrums. As might be expected, the cautious child doesn’t respond well to new situations. But unlike the active child, this little person won’t express frustration with change loudly; rather, these children will withdraw quietly. 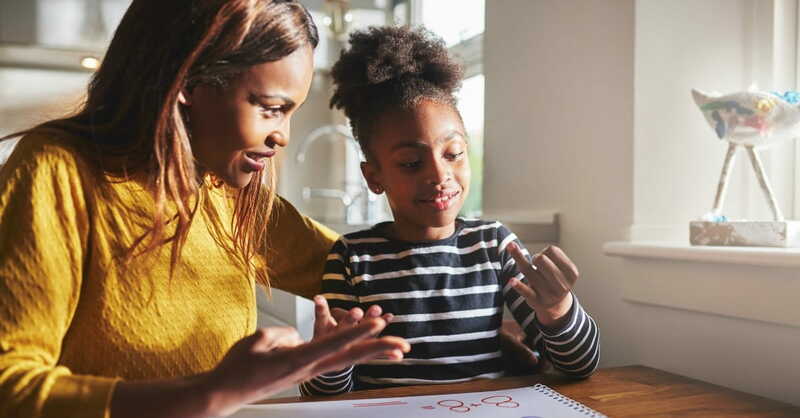 Once the cautious child has had an opportunity to accept and adjust to a new situation or person, behavior will become more positive and outgoing, like the flexible child. Dr. Graham also describes “goodness to fit” as part of the temperament theory. This is the match of a child’s temperament with the expectations of the environment. Goodness to fit exists when the expectations of family and others are compatible with the child’s temperament. Some researchers consider this the most important part of temperament. Don’t confuse the active temperament with a little boy’s need to move and wiggle. One of my sons has a flexible temperament, but he was still very active in his learning. He liked to stand while reading, eating, or even listening to a story. Just the act of standing helped dissipate his energy. You might be able to think back to when your preschooler was an infant and recognize behaviors that might indicate your child’s temperament. As you think about what calmed a fussy baby, you might get a hint as to how to help learning take place. The concept of learning styles has been in the education world for decades. It has long been recognized that individuals have unique ways of learning. Generally, though, learning styles are divided into three categories: kinesthetic (hands-on), visual, and auditory. I’m a visual learner. I need to “see” something to really grasp it. I take notes during sermons and lectures because the process of seeing the words as I write them implants the concepts in my brain. Your young visual learner will want to see the pictures as you read a book. Ask a visual learner how to spell a word, and you will find that even a familiar word like a name is difficult without writing it down. An auditory learner learns through listening. This is the child who loves to listen to stories being read or who can follow several steps when they are repeated orally. This is the learner who whispers while reading. The act of hearing cements the information more than just seeing it. Each of us uses a combination of all these learning tactics. But one will always dominate. When I’m taking notes, it’s so I can see the concepts. For another person, taking notes may be so the words can be “touched” and “felt,” a hands-on style. In spite of all the research and teacher training in learning styles, traditional schools including preschools are not set up to accommodate these differences. This is in part due to government programs such as No Child Left Behind. And it is in part due to having to efficiently move children through a system. How do you know what type of learner your preschooler is? Just watch and interact with your child. Throughout the days and weeks, you’ll notice what type of play your child gravitates to. Become attuned to your preschooler’s temperament. And remember there are differences between boys and girls. Keep in mind that at this age, though, your child is probably experimenting with different styles. Provide opportunities to try out all the various ways of learning. Also remember that all of these factors will mature in an individual learning pattern which is as unique as your little one. No one way of learning is better than another, just as no one spiritual gift is more important than another. Just look at the twelve chosen by Jesus. Each had a different style and ability. Just as each one of them had a place in God’s plan, so does your child. Nurture the uniqueness in learning that God has given your preschooler, and you will nurture a lifelong learner. Susan K. Stewart began teaching her children in 1981 and is considered a pioneer in modern homeschooling. Her latest book is Preschool: At What Cost? You can read more about early learning at her blog, www.betterthanpreschool.com. This article was originally published in the Sep/Oct 2012 issue of Home School Enrichment Magazine. Learn more at www.HomeSchoolEnrichment.com.